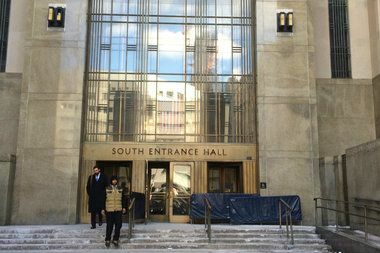 The Criminal Courts of NYC are open to the public and provide a fascinating window into the workings of the law enforcement process in the city. We will start in Arraignment Court to sketch the ongoing parade of those accused of breaking laws. The courtroom is rich in opportunities for us to sharpen our reportage skills, capturing those brought before the judge and the array of staff dedicated to overseeing the process. This is the time to quickly capture the action as the accused, judge, lawyers, clerks, police officers and onlookers move around the room. The afternoon will present another challenge as we move into a trial courtroom where there is less movement but plenty to draw as we observe the judge, jury, defendant, attorneys, clerks and witnesses go about the business of assuring justice to those accused of crimes. NOTE: The court session is from 8:00 AM to 1:00 PM. You can arrive at any time and proceed into the courtroom on the first floor. Follow signs or ask which courtrooms are being used for arraignment. The court breaks for lunch at 1:00 PM at which time the room is emptied. We will break for lunch as well and return about 2:30 when the trials reconvene. TRANSPORTATION: 4, 5 train to Brooklyn Bridge, C, N, R, 6 train to Canal Street. 1 train to Franklin St. Please RSVP directly to Raylie Dunkel at raylie@verizon.net. Looking for us? TEXT (can't answer a phone in the courtroom) to Raylie at 201-978-6387. No need to bring a stool as there are plenty of benches. You will have to go through scanners entering the building. DO NOT bring cameras or anything sharp (some people carry X-Acto knives to sharpen pencils). ANYTHING that is considered a potential weapon will be confiscated. Dry media only. There is no talking allowed in the courtroom. There may be people involved in the proceedings sitting next to you. Please be as courteous as possible as you work, we are only observers.